The Grand Canyon state is home to many inexpensive Arizona resorts as well as extravagant hotels, resorts and vacation rentals. Travel and Leisure Magazine recognized several of Arizona's resorts to the World’s Best list of accommodations in the United States. And you likely would like to stay somewhere nice without having to spend a lot of money. But where do you find these nice hotels that won't set you back a mortgage payment? If you utilize this page, you will definitely find some savings. I have also seen some summer deals that were as low as $69! Some of the resorts that are mentioned here, have very reasonable lodging rates, so check them out. Fortunately, there's an abundance of resorts, hotels and motels here in Arizona which works in you, the visitors, favor. With so many Arizona resorts, the result of this surplus of hotels means that you save money! No matter what your budget allows, there's lodging accommodations at many Arizona resorts to fit everyone's needs. Do you like what you are reading? Inexpensive Arizona lodging is not a thing of the past. You just have to do a little digging, that's all. Hopefully the information provided within will allow you to find what you are looking for. It's very true. Affordable resorts are not just a possibility. They are for real and you can take advantage of those deals throughout the entire year, too. You will also be able to find some even better deals if you follow a few simple tips that I will provide for you. What's even better is that you will likely find these inexpensive Arizona resorts in various parts of the Phoenix area as well as the northern and southern part of the state. The world famous Grand Canyon, Tucson, Flagstaff, Scottsdale, Peoria, Yuma, Mesa, Sedona, and also The White Mountains area are just a few of those such cities where you can save money and enjoy either a one-night stay or an extended vacation. You will also be able to find some great deals with these inexpensive Arizona resorts if you are looking for a romantic Arizona bed and breakfast for the weekend in Arizona. You will find these tucked away in various parts of the Grand Canyon state such as Flagstaff, Sedona, Tucson and other parts of the state. One important thing to keep in mind is that summer in Arizona is not appreciated by many as the temperatures become exceedingly hot in July and August when it is not uncommon to reach 110 degrees and even a few degrees hotter than that. At the time of this writing, the temperatures have been a real scorcher, as my late grandmother used to say. With these extremely hot temperatures, summertime in Arizona is a great time when you can save even more money on inexpensive Arizona resorts and hotels, including bed and breakfasts. If you don't mind the summer heat, you will be very happy to see the little money that is needed for a great getaway experience in the desert southwest at one of these inexpensive Arizona resorts. The Grand Canyon State is truly top of the line when it comes to your lodging needs. With everything from a wide variety of mountain retreats at so many resorts along with bed and breakfast inns to five-star hotels, you can't go wrong with the finest of selections that are yours for the taking. You'll find that many of these inexpensive Arizona resorts are actually ranked among the nation's best which is music to any travelers ears. Find the best deal, compare prices, and read what other travelers have to say about hotels in Arizona. Saving money doesn't mean that you have to give up having a nice room which makes it even better for the traveler. 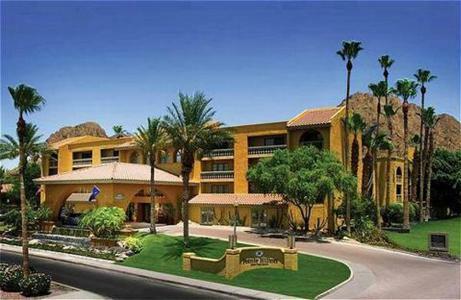 The Phoenix metropolitan area hotels here in the desert southwest allows you a wide variety when it comes to inexpensive Arizona resorts and you will most likely be happy with what you will find here. Of course not everyone will agree that some of the hotels are just as nice as some of the higher rated resorts, but that's where you come into the picture. You can decide for yourself by clicking on a few of the selections before you and trying a few of these resorts out for yourself. Sounds like fun to me. Let the ratings simply be a guide for you when choosing one of these Arizona resorts that you will see throughout this page. This is a very reputable Arizona hotel, located in Scottsdale, Arizona is an excellent choice among inexpensive Arizona resorts. I have only heard good things about this hotel and agree myself, that this Arizona resort is a premier choice. This is a five-start hotel and is conveniently located approximately nine miles from Sky-Harbor International Airport in Phoenix, Arizona.The Phoenician prides itself with luxury, style, comfort and convenience, as well as a 27- hole championship golf course. The Phoenician boutique hotel has nine pools, an impressive Tennis Garden, relaxing spa, and even an award-winning cuisine. And talk about delicious food....they have so many choices such as their modern French classics and southwestern dishes! M-M good! They are very proud of their award-winning restaurants and continue to provide their guests with the finest in food selections. Plenty of room available too, as The Phoenician has 468 guest rooms and luxury suites including two presidential suites. Championship golf, spas, Arizona sunshine and the convenience of being located at the base of Camelback Mountain, just in case you would like to take in a little hiking during your stay. There are many resources for your convenience so if you are staying for a business meeting or just would like to get away for a mini-vacation, you really can't go wrong by choosing to stay at the Phoenician. If you need the convenience of being located to the essentials, they also have 119 luxury casitas, that are conveniently located close to the main lobby and also offer you doorstep parking on top of a beautiful lake, known as Necklace Lake! Yes, I said a lake at a hotel in Arizona. I know they offer some incredible deals, too, which qualifies this resort for the inexpensive Arizona resorts list. 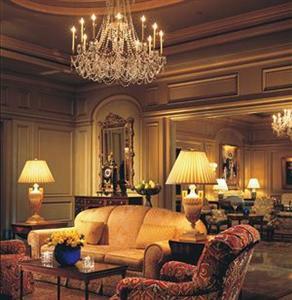 You will be given the royal treatment at The Ritz Carlton Hotel in Phoenix, Arizona. This Arizona resort is regarded as one of the top business hotels in the United States and is located near the Biltmore Fashion Park on the upscale Camelback Corridor, many corporate offices, and of course.......shopping and restaurants to suit you. The Ritz-Carlton in Phoenix is centrally located to many of the popular city attractions included with the resort-style amenities that you would expect. Business meetings are well accommodated here at this hotel and is specifically operated with the corporate visitor in mind. No business meeting is too big with its 20,000 square-feet of meeting space. After your meetings though, you will still have the option of being pampered with use of its sauna, spa and pool to help you unwind! All the business traveler accessories such as their business center including the staff to assist you with your business and meeting needs such as high-speed internet access, fax, and more, is available for your use. You will find over 120 shops and restaurants nearby (and within easy walking distance) for you if you would prefer to eat somewhere else other than the on-site resort bistro 24 restaurant, which serves French-accented contemporary cuisine. Old Town Scottsdale is a popular local attraction and is just six miles away from this Arizona resort. The Phoenix Zoo and Desert Botanical Garden are also nearby, approximately 10-miles from this hotel. Don't let the fact that this 4.5 star hotel is recognized as a business hotel, and on the list of inexpensive Arizona resorts, either. You will still have access to a wide selection of spa services, such as a very personalized and therapeutic massage to ease your muscles and business mind! They also have a Swedish Massage, and special treatments known as the Honey Butter Sea Salt Treatment, and the Hot Lava Mud Treatment. This 4-star Arizona resort holds 563 rooms on its four floors, and is located eight miles from the Phoenix International Airport. Don't believe for one moment that you will be deprived by choosing any of these inexpensive Arizona resorts that are mentioned here. Some of the nearby local attractions include an amusement park, Phoenix Mountain Park, Heard Museum, the famous Biltmore Fashion Park, Phoenix Zoo, and also a baseball field where the Arizona Diamondbacks play, known as Chase Field. Other than the obvious such as a television, coffee-makers, telephone and internet access, hotel amenities at the Pointe Hilton Squaw Peak Resort in Arizona include a pool, tennis court, putting green, fitness room, hiking trail, playground, pool table, putting green, horseback riding, sight seeing tours, barber shop, beauty salon, gift shop, a news stand, business center, concierge, and plenty of meeting rooms for the business traveler. If you have physical challenges, the Pointe Hilton Squaw Peak also has handicap facilities. Appropriately named for the towering palm trees that greet its guests at the entrance, this resort and spa is located at the base of the well known and popular hiking attraction, known as Camelback Mountain in the Phoenix-Scottsdale area. Inexpensive Arizona resorts include the Royal Palms features such as spacious accommodations and amenities like the private patios, fireplaces, balconies, wall safes, 27-inch remote control, stereo/televisions, and so much more. This Arizona resort offers bowls of fruit along with a daily newspaper, and nightly turn-down service for a little extra pampering that perhaps you have been longing for! Want more? How about some extras like high quality lines and robes? This resort is tucked away in a nice little hideaway in Carefree, Arizona, which is considered a very upscale area located northeast of Phoenix. Situated on 1,300 acres of untouched Sonoran Desert,this resort is a big favorite of many, including myself. You will find it in what is considered the foothills area near Scottsdale, Arizona. 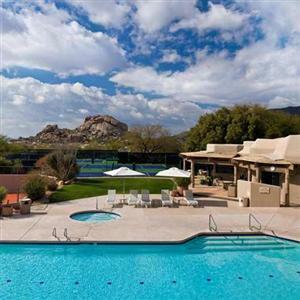 The Boulders Resort and Golden Door Spa is widely recognized by the traveling profession and has been named "America's Top Resort" for many consecutive years. Luxurious accommodations await you here in this wonderful oasis that will truly allow you to relax with its desert surroundings. You will be surrounded by the 12-million-year-old boulder formations that surround this inexpensive Arizona resort! You really need to see this if you have not already. Pictures do not even come close to what it looks like in person. Okay, I may have convinced you on the outside, but how about the inside? You will likely be just as pleased on the inside as you will find yourself relaxing in overstuffed leather chairs! This is really a beautiful and relaxing inexpensive Arizona resort that will provide you with relaxing accommodations in the gorgeous area of Carefree. If you love golf, The Boulders Club, is a semi-private country club that offers its club members and resort guests a remarkable 6,811-yard, par 72 championship golf course and a 6,726-yard, par 71 championship golf course. Both of these courses were designed by Jay Morrish, the famous golf course architect. Inexpensive Arizona resorts are not all that hard to find. Conveniently located just nine miles from the Phoenix International Sky Harbor Airport. Local attractions include Phoenix Zoo, Desert Botanical Gardens, Heritage Square, Heard Museum, Taliesin West and Phoenix Art Museum. Plenty of room availability with 585 rooms, too. Here you will find luxurious all-suite mountainside resorts. You won't be bored either with all of the activities and amenities that are available for both their business and leisure travelers. Championship golf course, Hilton Golf Academy, relaxing spa with extensive water features, Hilton Golf services, fitness facilities, tennis courts, along with versatile conference space are all here.......oh, and did I mention that they have a wide variety of diverse selection of themed dining establishments as well as a kids program? No need to worry about your amenities at inexpensive Arizona resorts either, and this one is no different. You'll find not only a pool, fitness center, concierge, driving range, golf course, hiking trail, paddle tennis table, and a putting green, but they also have sight-seeing tours, barber shop, tennis court, beauty salon, gift shop, news stand, business center, meeting rooms, wet bars and modems for your hotel convenience. 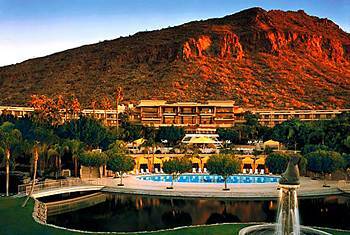 Pointe Hilton Tapatio Cliffs is located a short nine miles from the Phoenix International Airport. Local attractions include the Phoenix Zoo, Heard Museum, Desert Botanical Gardens, Heritage Square, Taliesin West (a Frank Lloyd Wright attraction)and Phoenix Art Museum just to name a few of the 1-day activities that you can do. 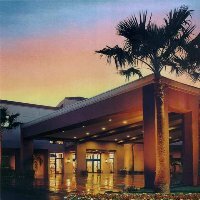 The Arizona Grand Resort & Spa is a 4-star hotel that holds 640 suites and once you arrive, you will love the fact that everything you could possibly desire, is right there on site, restaurants included. Fine dining is also available at these inexpensive Arizona resorts. Here, you'll be able to discover fine cuisine is your thing, you will have the option of eating at their award winning restaurants. Check out their award winning golf course at the Arizona Grand Resort & Spa named the Phantom Horse Golf Club located at this resort. This resort has 640 spacious suites which include feather beds, along with 2 televisions for your convenience. The room in which the sleeper sofa is located, has a door which separates it from the master bedroom, which many guests truly appreciate. If you prefer just to sit back and relax, you can take advantage of the HBO and pay-per-view movie services right inside your very own suite. Oh, did I tell you that they have a mini-wet bar? You will also find a private patio or a balcony with these suites, too. Take advantage of their Phantom Horse Spa & Athletic club that is a short distance walk from any of the resort suites. I have visited this resort and really enjoyed the atmosphere, food and this mentioned fitness center. They also have cardiovascular equipment, aerobics, yoga and pilates classes, meter lap pool, sand volleyball, indoor basketball court, free weights, a great golf course, training gym, racquetball, personal training and more. They even have a pretty neat spa and salon right next to the fitness center and take great care of their guests with their personalized service. If your kids are wondering if they will have anything to do, be rest assured that they indeed have kids in mind with their huge oasis Water park, located on the south end of the resort complex. On top of that, they have a big slide tower, action river, wave pool, water basketball and volleyball, whirlpool, as well as a children's pool, for the younger ones. If your game is tennis, they have a very well known and rated tennis court. 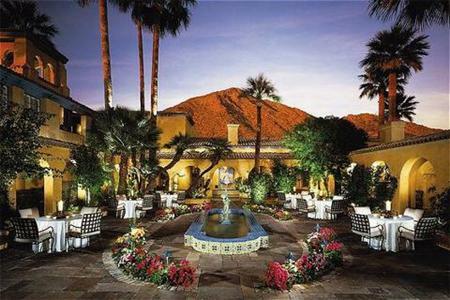 In fact, the Arizona Grand Resort & Spa was voted one of the 50 greatest tennis resorts by Tennis Magazine. Need more convincing? OK, they also have six lighted courts, a tennis-ball machine, instructional programs, lessons with videotape analysis and guaranteed match play. Like I said, these folks have everything you really need to have some fun in every way. Additionally, they have riding stables for your horse riding excursion through a popular attraction known as South Mountain. If you need something a bit more rugged, they also have mountain biking packages, too. And if you stay here at this site located at South Mountain, the resort also offers the avid hiker the option of hiking with a guided tour-guide. 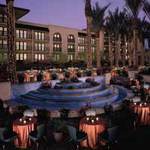 Inexpensive Arizona resorts include this southwestern-style resort named the Hilton Phoenix Airport. Money saving resorts such as this one is also a good choice. It is rated as a 3-star hotel, so if that does not bother you, it really is a pretty decent hotel. Many travelers don't mind as they figure that most of their time will be away from the hotel doing what they came to do anyway, which is usually enjoying the Arizona sun and all of the 1-Day Activities there are to enjoy. It's less than two miles from Arizona State University and Phoenix Sky Harbor International Airport. The Hilton Phoenix Airport Hotel offers its visitors three accommodation options, namely suites, executive accommodation and standard accommodation. This one is not too big and not too small as it holds a comfortable 255 rooms. This hotel is also conveniently located closely to some of Arizona's popular attractions such as the Desert Botanical Garden, Big Surf, which is a man-made water park that the kids (and even the big kids!) seem to love. It's also approximately ten miles away from America West Arena, Phoenix Civic Plaza/Symphony Hall, the Chase Ballpark, the Scottsdale Center for the Arts, Dodge Theater, and the Heard Museum. It is also a short drive away from where the University of Phoenix stadium is located, home to Super Bowl 43.
Business guests love the hotel amenities with its 24-hour business center, 24-hour room service and complimentary shuttle services. They also have a pool, spa tub, atrium lobby, gift shop, casual bar and grill, and also their restaurant courtyard dining area. The hotel concierge assistance, dry cleaning, free parking, free weekday newspapers, 24-hour front desk service, and safety deposit. All of their resort suites feature safes, mini wet-bars, coffeemakers, cable TV, in-room movies, irons and ironing boards, hairdryers, high-speed Internet access, voice-mail, and desks with keyboard pullouts and ergonomic chairs. You can't forget this one on the inexpensive Arizona resorts list! This famous Arizona resort has been the choice of many U.S. presidents who have made their stay here. In fact, from Hoover to George W. Bush....they have all stayed here. It features 738 guest rooms and will likely have what you are looking for, too. 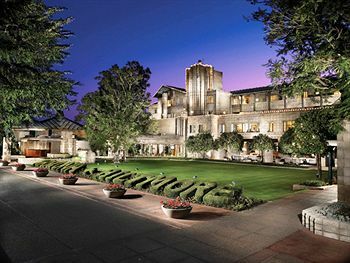 With a full-service spa, the historical Arizona Biltmore Resort and Spa sits on a 39-acre resort at the foot of the Phoenix Mountain Preserve, and is approximately nine miles from Phoenix Sky Harbor International Airport. Inexpensive Arizona resorts include this one and if you stay here, you will be pretty centrally located to everything which makes it nice. You will be close to the local attractions such as downtown Phoenix. If you happen to be staying for an event at the Sun Devil Stadium, the hotel is approximately 12 miles away. If you would like to take in a little shopping while there, the Biltmore Fashion Park is just five minutes away from this Arizona resort. If you prefer, the resort also has a shuttle for your convenience. 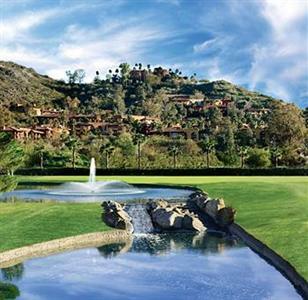 If you are coming to Arizona for a little golf and are looking for inexpensive Arizona resorts, the Arizona Biltmore Resort & Spa has specials throughout the year. This resort sits on 39 acres at the foot of the Phoenix Mountain Preserve. It is also regarded as one of the most spectacular resorts in the world. To top it off, the Biltmore also has 78 one and two-bedroom villas, eight swimming pools, seven tennis courts, an 18-hole putting course, a full-service European spa, salon, and fitness center. If you still need more golfing possibilities, there is the popular Arizona Biltmore Country Club which offers two 18-hole PGA golf courses, The Links and The Adobe, located next to the property. You will probably enjoy these rooms as they come well equipped! Their guest rooms contain mini-bars, work desks, two telephones, voice-mail, double sinks, hairdryers, and scales, and even a morning newspaper. Nice! Their motto is that they have something for everyone at The Westin Kierland Resort & Spa, and they can certainly back it up. Inexpensive Arizona resorts have so much to offer and these folks have so many things for the whole family such as their 110-foot-long waterslide for the utmost in water fun! 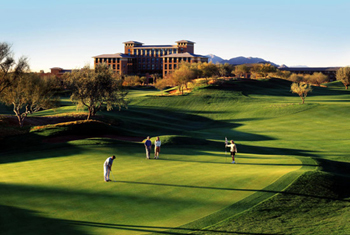 The Westin Kierland offers golfers a memorable experience with their 27 holes of championship golf, the best exercise physiology, top golf instruction, on-site golf equipment fitting and the latest in golf technology. The Kierland Golf Club is only one of the few courses that exist here in the country with what is referred to as showcase climate-controlled golf. If you are not familiar with this, it's basically an outdoor driving range that features an air-conditioned canopy system and air-conditioned golf carts for those who prefer a cooler climate when golfing! How cool is that? Now you don't have an excuse not to golf in the summer! Go on, take advantage of these inexpensive Arizona resorts. Have some fun and take advantage of an online discount resort whenever possible. This resort is considered one of Scottsdale’s premier luxury resorts and also includes a golf academy with top instructors that are recognized by Golf Magazine. If you would like to see some additional hotel deals, make sure you compare hundreds of hotels on one site to find the deal that's right for you. You will be sure to find some other inexpensive Arizona resorts here, too! Thanks for stopping in at inexpensive Arizona resorts! Please come back soon.